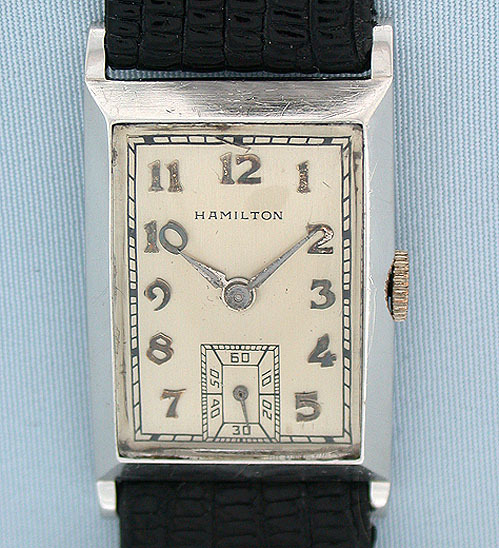 Handsome Hamilton platinum Rutledge vintage wrist watch circa 1948. 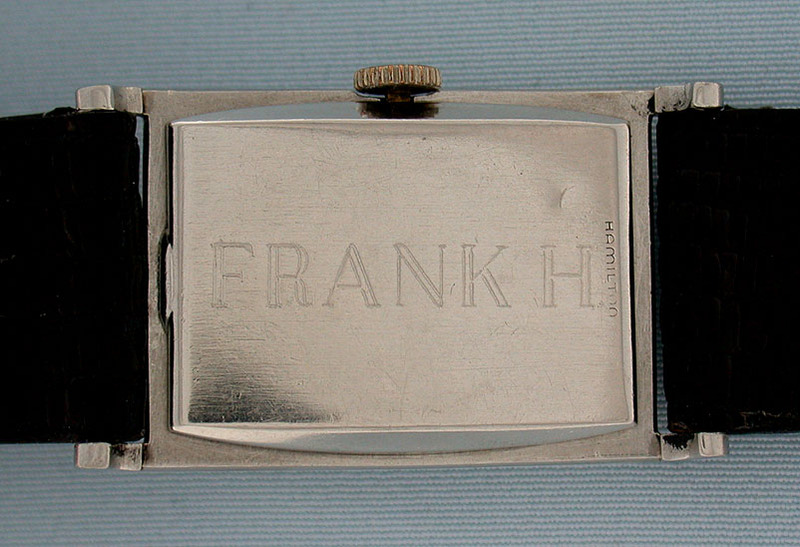 Elegant original silver dial with applied numbers. The case with beveled top and downward sloping lugs. 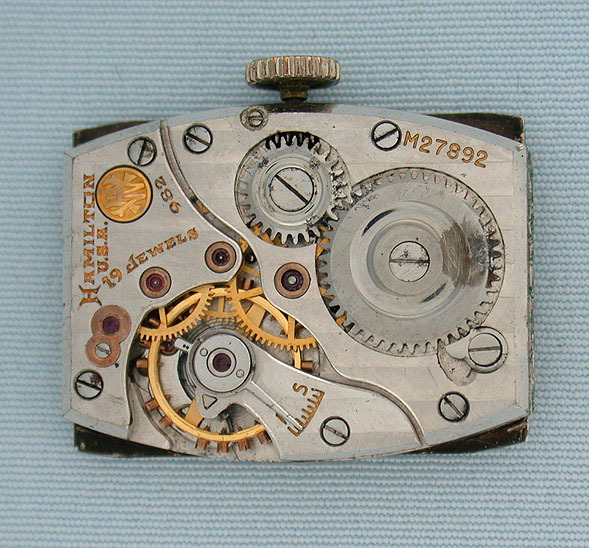 Calibre 982, 19 jewel movement with winding works stain.